Mini cruiser Emanuel is a 38-meters long motor yacht available for luxury cruise holidays along the fascinating Croatian coast. 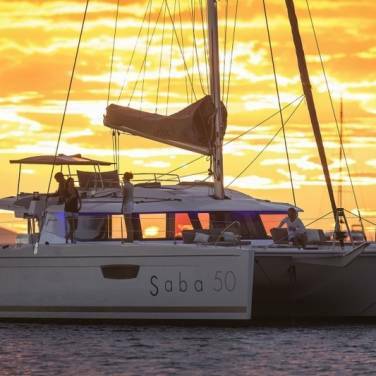 It can accommodate up to 35 passengers aboard due to 18 guest cabins laid out on two decks, each tastefully furnished and equipped with air conditioning, safety and fire alarm settings, safety deposit box, TV, DVD player and a private bathroom. Other areas of this beautiful mini cruiser are just as lovely and practical. The restaurant is located on the upper deck near the galley and consists of a comfortable lounge area and a dining area for 40. Flooded with plenty of natural light coming from the windows, the restaurant is imbued with warm tones and contrasted with dark wood furnishings, combining an easy-going atmosphere with understated elegance. The salon, where you can enjoy many different cocktails prepared by a bartender, is situated on the upper deck offering a vast selection of alcoholic and non-alcoholic beverages. With a sun deck of total 180 m², yacht's outdoor areas are equipped with deck chairs and a tent, ideal for sunbathing and unwinding. 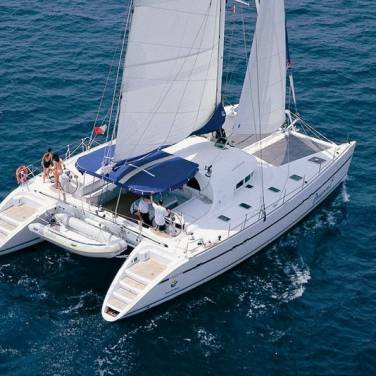 Chartering mini cruiser Emanuel entails the presence of a highly professional crew who will make sure you get the best out of your stay aboard. Separate sleeping quarters are arranged for all crew members, guaranteeing maximum privacy to the guests on board. In addition to a full-time crew, there is a small reception desk in the middle of the ship, containing brochures, promotional materials and other information that might be of your interest. Furthermore, exciting cruising routes offer you a glimpse of Croatia's rich historical and cultural heritage, giving you access to some of the most beguiling destinations on the Adriatic, from the irresistible Dubrovnik in the southern part of the Croatian coast to the mesmerizing cities of the northern Adriatic. 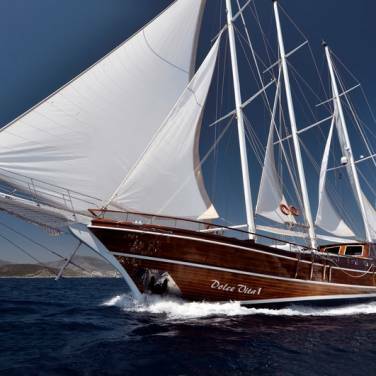 Charter mini cruiser Emanuel and fill your days with as many summer activities and as much relaxation as you see fit, relish exquisite meals and discover abundant maritime heritage showcased in every port of the Adriatic coast.